Cracks in parking lots will happen. When not taken care of timely, the surface will eventually deteriorate. 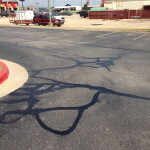 Cracks and asphalt deterioration can cause a serious safety issue for your customers and employees. 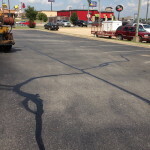 No individual maintenance technique preserves and extends the life of your pavement as effectively as asphalt crack sealing. Stay ahead of cracks through annual maintenance and eliminate the high dollar repairs that will result from deteriorated asphalt pavement. Cracks that appear in properly constructed asphalt pavements are usually due to repeated temperature fluctuations that occur with the change of the seasons. One of the great strengths of asphalt pavement is that it can expand and contract with temperature changes without incurring damage. As asphalt ages, the liquid asphalt binding the aggregate together begins to dry out and lose flexibility. This is the most common cause of cracks and a natural part of the life of any asphalt pavement. While this natural life cycle of asphalt pavement cannot be stopped, it can be managed. 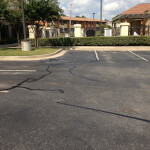 Asphalt crack repair is critical to the long term maintenance of the pavement. 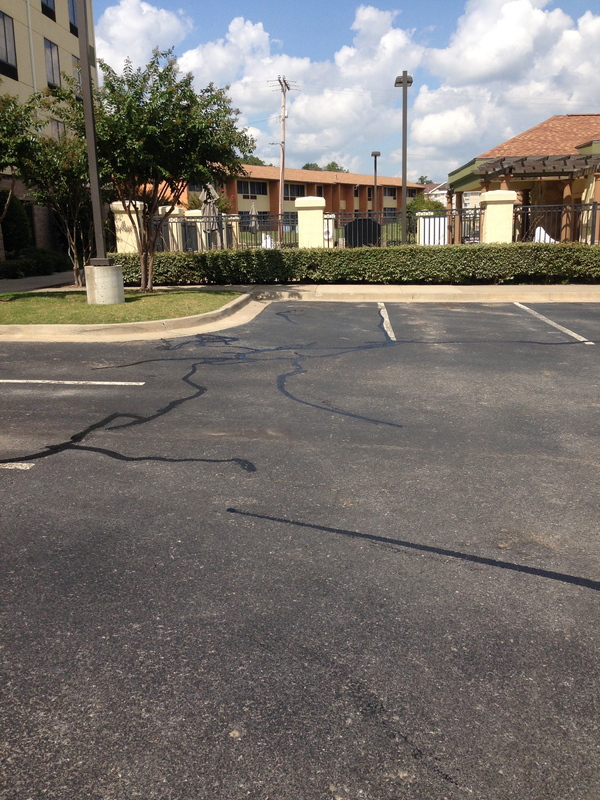 Left unattended, cracks allow water to infiltrate the pavement structure, causing it to quickly deteriorate. 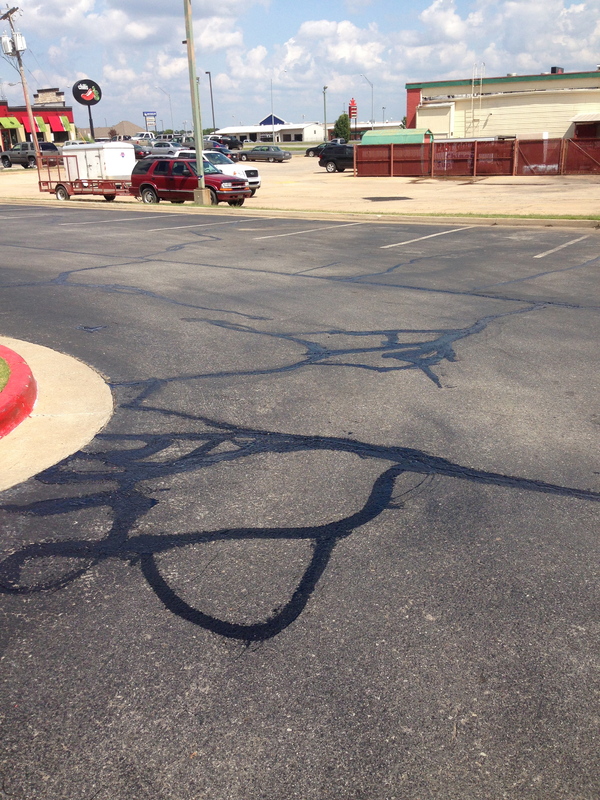 Don’t let this happen in your parking lot; our team can identify your particular issue and will have the right solution to keep further asphalt cracking from happening. We use a computer controlled Crafco EzPour melter/applicator; this ensures the material is never overheated (can lead to reduced lifespan of the seal) and is applied properly every time. 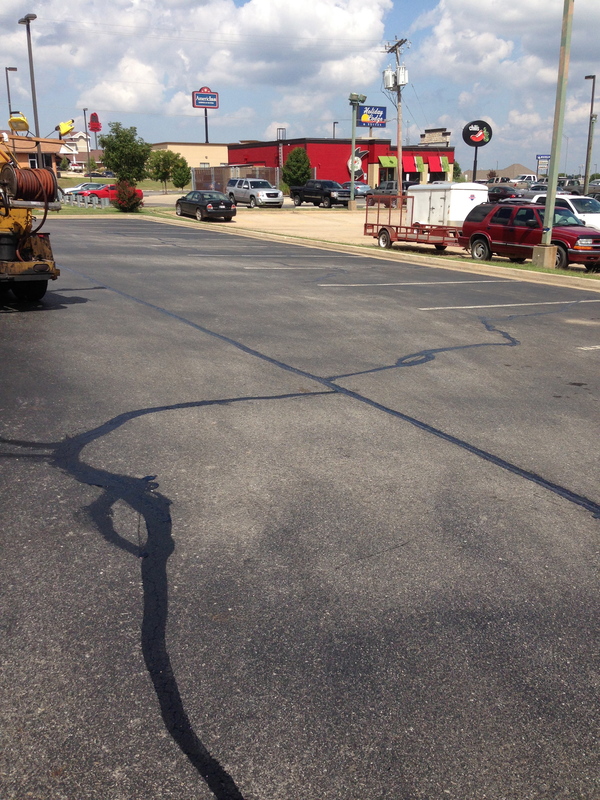 You can trust us to have your parking lot sealed and safe in no time.